NOTE TO ERIC BOLLING: “Jerry Rice is the Greatest Football Player of All time” He’s also one of the most humble players ever. But Jerry Rice would never say that. 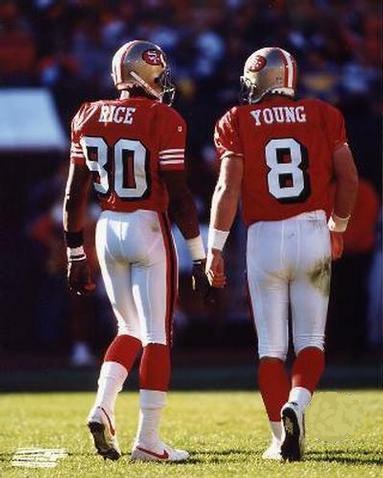 The only time you heard anything from Jerry Rice was when Joe Montana was getting more commercial offers than the Legend wide Receiver/Greatest player to huddle up on an NFL field. Jerry Rice became the greatest Football Player of all time because when he achieved a new plateau; He considered himself on the bottom rung of the next ladder. The word complacency was not in his vocabulary. Why did other first round wide receivers fail to become versions of Rice? Because great talents like J.J. Stokes and Reynaldo Nehemiah could not keep up with Rice’s workout routine. Rice never considered himself good enough, nor did he ever have to verbalize his achievements. Stephen R. Covey said: “Nothing fails like Success”. It is easy to see how Miley Cyrus and Justin Bieber prove that point. 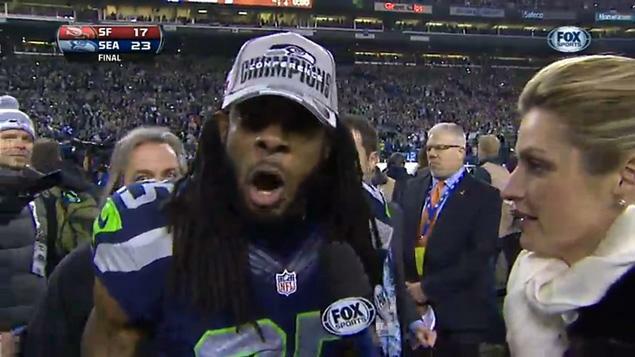 It will be interesting to see how many tough hits Sherman gets for being less than polite after the Championship game. We saw how that worked for Tyrell Owens and to a degree Dion Sanders. When he went “Mohammed Ali” on Erin Andrews, he painted a huge target on his back. This was not a career enhancing maneuver. If anything it looked like a boy seeking the acknowledgement from a father figure. Humility is the best way to keep from being double teamed. Being confident from within keeps your opposition off guard. The best thing you can do once you’ve achieved a great victory is to look for a greater victory. Why do you think the cover of Sports Illustrated is a curse?